Look at all this merch! KLabGames delivers fun games and entertainment to the world. 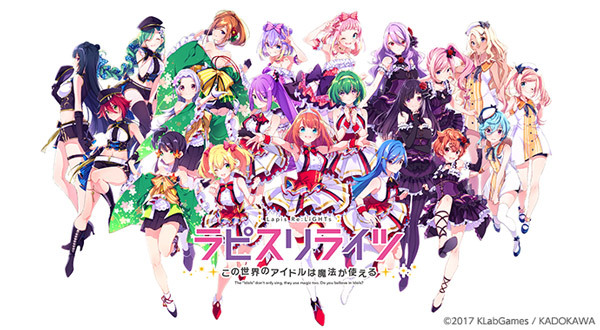 Over the years KLabGames has brought multiple hit titles based on popular series and original games to players in Japan and around the world. We'll be bringing you more new games in the future as we grow into a multi-platform entertainment label that reaches across genres to deliver the max amount of fun possible. The VA cast of Project PARALLEL take to the stage to dazzle KLabGames booth attendees with a special live performance! 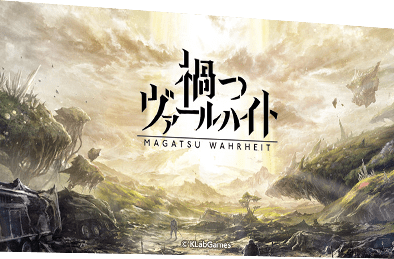 This talk show jam-packed with new info features fantastic guests who will take the stage to discuss the upcoming KLabGames original title, Magatsu Wahrheit. Plus, audience members have the chance to get free giveaways. Don't miss it! This special event showcases the cast of Project PARALLEL and reveals plans for cross-media developments. The VA cast of Project PARALLEL take to the stage to dazzle KLabGames booth attendees with a special live performance! This exclusive talk show will bring you all the latest info on the exciting developments in YU☆YU☆HAKUSHO 100% Maji Battle straight from the VA's of the main characters themselves, four legendary guests that will take your breath away. Bankai Live at AnimeJapan 2018! 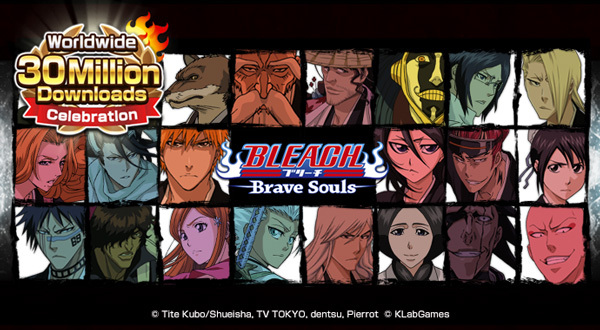 The Bankai Live is back for another round of soul-reaping action at AnimeJapan! The list of guests is absolutely other-worldly. 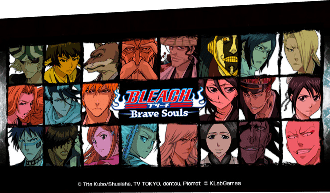 If you're a Bleach fan, don't miss this event! 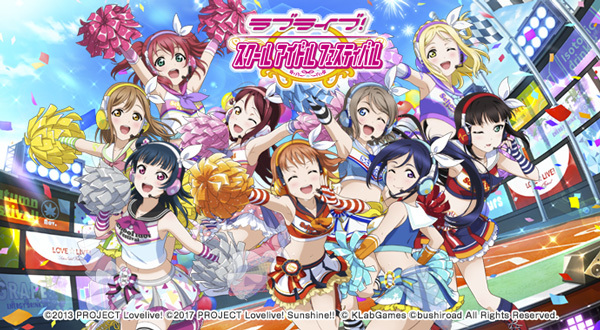 Catch the latest announcements about the 5th anniversary project for the Japanese version of Love Live! School Idol Festival, plus volunteers from the audience* can face off against members of the Nijigasaki High School Idol Club in a Huge Love Live! School Idol Festival Challenge! * A limited number of audience volunteer entry tickets will be distributed at the KLabGames booth starting when the hall opens on this day. Live concert from the cast of Project PARALLEL! 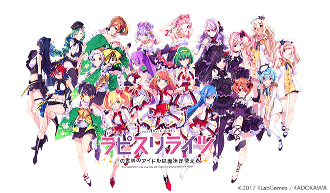 This event features a special giveaway contest in which the audience participates in a giant rock, paper, scissors competition to win prizes signed by the VA’s of Project PARALLEL! 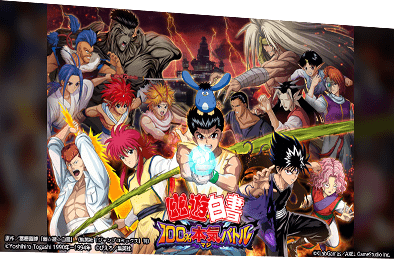 Catch all the latest updates on the upcoming YU☆YU☆HAKUSHO game, including a brand-new promo video! 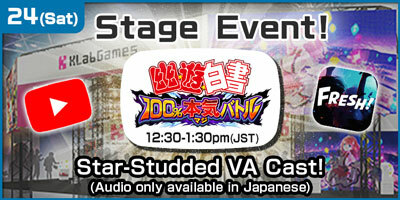 Best of all, the main VA cast will be there to deliver a thrilling talk show live on stage! Be sure to check out the life-size character panels waiting for you at the YU☆YU☆HAKUSHO 100% Maji Battle corner of the KLabGames booth too. With commemorative giveaways for those who stop by the booth, this stage is sure to entertain and delight! Don't forget to stop by the KLabGames Market to check out the merch too! These "Idols" don't just sing, they can use magic too. Do you believe in Idols?The official title has been revealed! 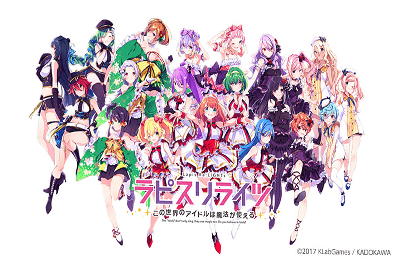 Lapis Re:LiGHTs is a cross-media project developed by KLab and KADOKAWA and centered around two themes: “magic” and “pop stars.” The project will be released on a variety of media platforms, including as a mobile game--currently in development! A comic release and novel release have been announced, and there are plans for an anime release as well. 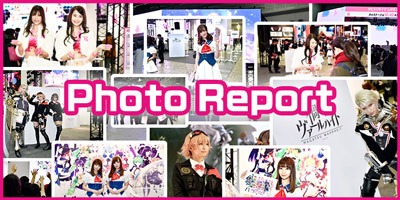 Check out the official site and Twitter account for all the latest info on Lapis Re:LiGHTs! 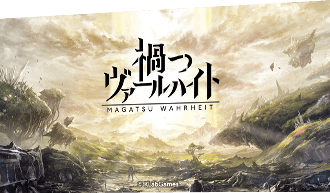 Magatsu Wahrheit storms AnimeJapan! In addition to amazingly popular cosplayers, a talented cast of voice actors put on a special stage event! 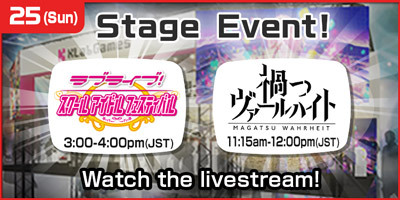 Audience members will even be able to get exclusive giveaway goodies! 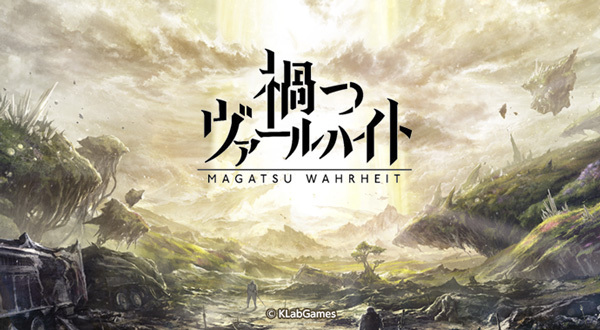 Don't forget to follow the game's new official Twitter account for all the latest info on Magatsu Wahrheit! With over 40 MILLION players around the world, Love Live! School Idol Festival takes the stage at AnimeJapan! The Japanese version of the game is approaching its 5th anniversary. Cast members from the First Year Class of Nijigasaki High School Idol Club will be live on stage to play games and provide entertaining talk discussions! Free stuff will be given away at the booth too! 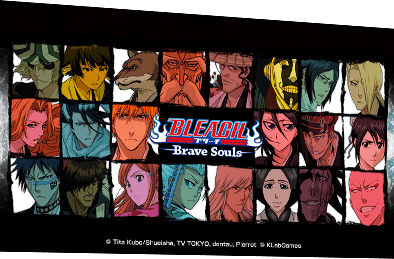 The Bleach: Brave Souls Bankai Live stage is back with more giveaways and more action-packed fun and adventure! The game already has over 30 million downloads worldwide - why not get in on the action? The third anniversary rings in this July! Get exclusive Captain Tsubasa merch here! There's also a gaggle of events going on inside the game to get everyone pumped for AnimeJapan! 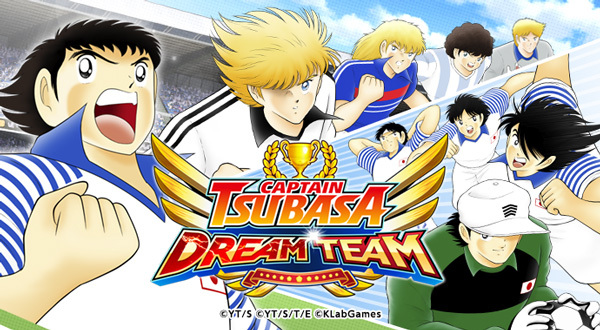 Captain Tsubasa: Dream Team is out now worldwide, and it's a great way to relive the magic of the Captain Tsubasa saga. * Elementary school kids and younger are free. 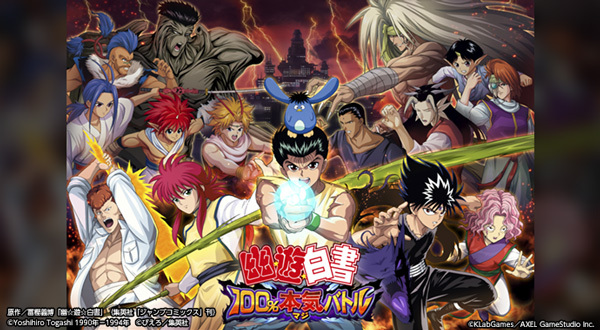 Over the years KLabGames has brought multiple hit titles based on popular series and original games to players in Japan and around the world. We'll be bringing you more new games in the future as we grow into a multi-platform entertainment label that reaches across genres to deliver the max amount of fun possible.We can’t wait to see you there! The information contained on this site is subject to change without prior notice. In the event that a large number of guests visit the KLabGames booth simultaneously, the following measures may be taken in order to ease booth traffic issues and improve the overall experience of everyone at the convention. - We may ask you to provide ID that allows us to confirm your age for games with an age restriction. - Details of booth attractions, the content thereof, and event times are subject to change without prior notification. - Limitations on participation numbers and booth entry may be enacted and removed as necessary for game demo corners, booth attractions, and stage events. - If deemed necessary, queue tickets may be distributed without prior notification. In such an event, tickets are only valid for the day on which they are issued. Tickets will be distributed in order. Once all the day's tickets are gone, no more tickets will be issued for that day. The transfer, sale, and/or exchange of these tickets is strictly forbidden. Guests found to be involved in the transfer, sale, and/or exchange of tickets will not be allowed to participate in game demo corners or other booth attractions. - The times at which stage events, livestreams, and other attractions start and end may vary due to unforeseen circumstances. The content of and guests appearing in these events may change without prior notification. - Guests found to be harassing or threatening to cause harm to other guests may be asked by booth staff members to leave the premises. - We are unable to accept letters, gifts, and/or other items to be given to those appearing on stage or livestreams, cosplayers, or booth companions. - Please speak to a booth staff member immediately if you start to feel ill while watching a stage event or waiting to participate in a booth attraction. - Free giveaway items and for-sale merchandise will only be available while supplies last. - Please be aware that the design and shape of the items for sale may change. - With each purchase, customers may not exceed the quantity limits set for each item. - The quantity limit for a trading item is two, regardless of whether you are purchasing a single item or a set. - We have stock of each type of item prepared, but some items may sell out. - Depending on sales, some items may become limited to a certain number of units per customer. - Please follow the directions of the booth staff when in line. - The register will be cash only. - We will only exchange damaged goods if they were defective at the time of manufacture. - Aside from defective items, there will be no returns or exchanges. - The above rules may change at any time. Thank you in advance for your understanding. 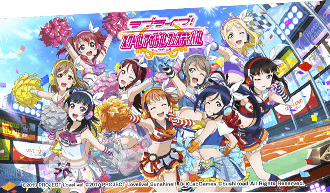 This site is owned and operating by KLab Inc. All trademarks and names of companies, products, and services are the property of their respective owners. Please do not copy, reproduce, reprint, modify, publicly broadcast, translate, or sell the contents of this website without permission, excluding private use within the bounds of applicable copyright laws. 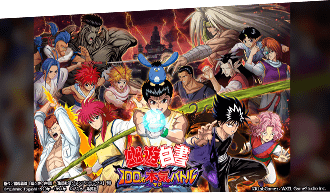 "Yu Yu Hakusho"/comics originally serialized in the WEEKLY SHONEN JUMP published by Shueisha Inc.
Android, Google Play, and the Google Play logo are trademarks of Google LLC. All other trademarks or registered trademarks are the property of their respective owners. * A new tab will open.